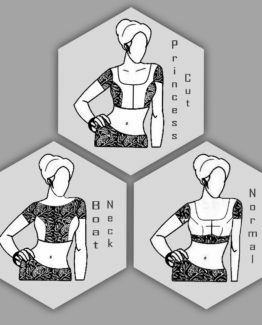 How to download Blouse Drafts? Once you’re done with the Payment Process. A link will be sent to your registered email address. You can just click on the link and the RAR file gets download automatically. You can download it directly from MyAccount page ( Click Here ) in our Website. How to open the drafts? To Unzip the Downloaded Blouse Draft File, You need to Download the WinRAR Software. For PC Users: ( Click Here ) Or alternatively you can ( Click Here ). For MAC Users: ( Click Here ). For Android Users: ( Click Here ). For iPhone Users: As Downloads are not supported in iPhone, you shouldn’t download Blouse Drafts in iPhone. 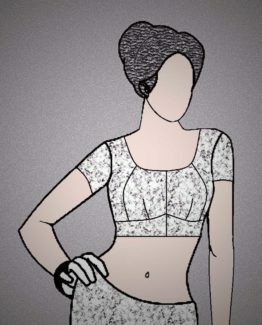 How to Print the Blouse Drafts? Just Print all your Blouse Drafts on an A4 Sheet in Landscape Mode. I cannot find my size what should I do now? Just go to Contact Us page ( Click Here ), fill in your details and request your requirements. Our team will respond to your queries just in no time. I cannot find my desired pattern what should I do now? 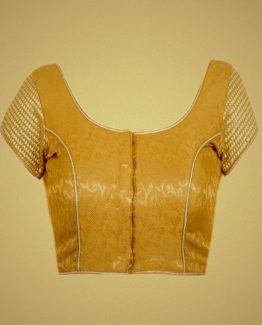 Do I get any Support in the Process of Cutting or Stitching the Blouse? Yes, we’re always here to serve you. And resolve all the issues you face in Downloading, Printing, Cutting and Stitching.